Carpet tiles have been used in contract environments for years and are making significant inroads into residential settings. Highly versatile, ecological and flexible, carpet tiles are a smart choice in high traffic areas where you can swap out tiles that are stained or worn instead of having to replace the entire carpet. It can take up to 20,000 years for traditional carpet to decompose in a landfill, so choosing carpet tiles is an environmentally responsible choice – especially if they have a high recycled content and are themselves recyclable. 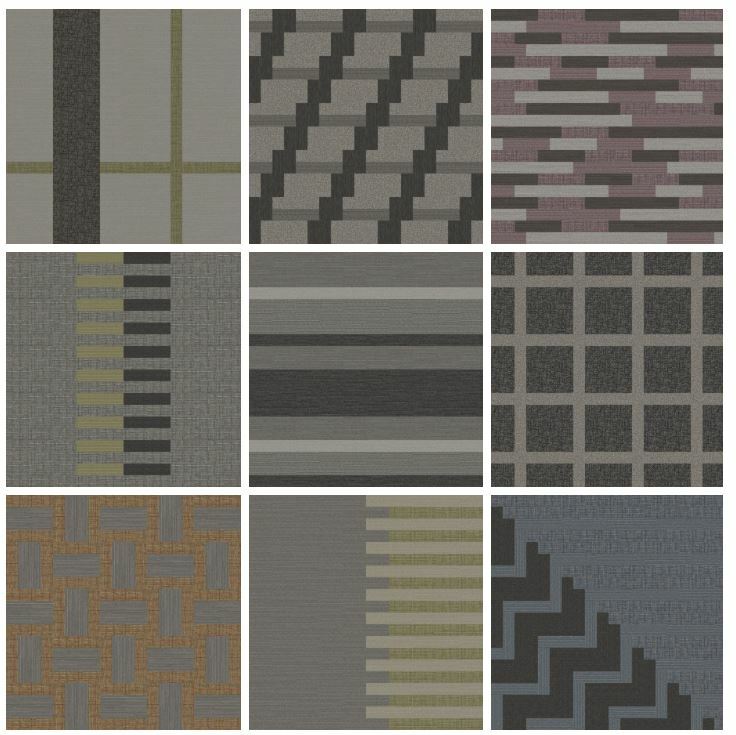 Modular carpet tiles come in an array of designs and color choices and when you consider the infinite number of options, the ability to get creative is endless. There are some basic ways to layout carpet tile which we’ve outlined below, but when you add color and pattern into the mix the possibilities are endless. And…if you cut your carpet tile you can achieve diamond, herringbone, basket weave and other intricate patterns. Here are some of the basic terms for laying out carpet tile, for a more comprehensive overview of carpet tiles Bentley has a great reference guide. Tiles turned 90 degrees to one another. Arrows should all point in the same direction with the tile displaced by half a tile in the width direction. Arrows should all point in the same direction with the tile displaced by half a tile in the length direction. Tiles installed without regard to direction and orientation. Whether you want to achieve a modern, transitional or traditional look, modular carpet tile provides a cost-effective and ecologically-sound long term solution that allows you to express your brand and culture, optimize your real estate investment and dare we say… get creative. Top image: ©2016 Steelcase Inc. Used with permission.